The core of the infrastructure will be an API based modular system that comprises of an accounts-based, real-time payments system augmented with the functionality of smart addressing. All banks in the Maldives will be directly linked to the system. It will support seamless integrated solutions combining the payment process and provide convenient, and value added solutions. 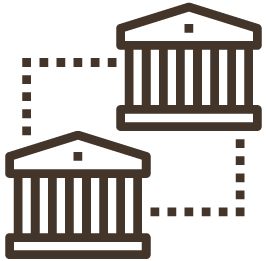 All commercial banks in the Maldives will be connected to the system. They will all contribute to and jointly function as account information service providers. 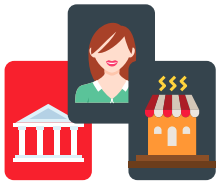 Banks can be both Account Information Service Providers and Payment Service Providers. In future, only banks can be Account Information Service Providers or deposit holders. UPG facilitates Account Information Service Providers to provide account information through thea gateway to Payment Service Providers based on set of system rules that are in line with the legal framework. UPG enables the customers to view and manage multiple bank accounts through a single interface, consolidating various banking features including seamless fund routing & merchant payments. The UPG will include an access layer and a shared service layer. Smart addressing will allow customers to make payments using easy to remember tokens, such as national identification numbers, mobile numbers, email addresses and social medial handles. Clearing service allows real-time multilateral clearing of transaction between Account Information Service Providers. Payment service providers can utilize the payments system infrastructure to provide digital, integrated and even embedded payment solutions to users. Consumers, businesses and the government will have access to digital and integrated solutions with overlay services. The second phase of the project will be the development of mulitple digital solutions which will allow users to make and receive payments instantly irrespective of where they hold their bank accounts in the Maldives. A digital solution simply provides the facility of making payments without other add-on services or functionality. 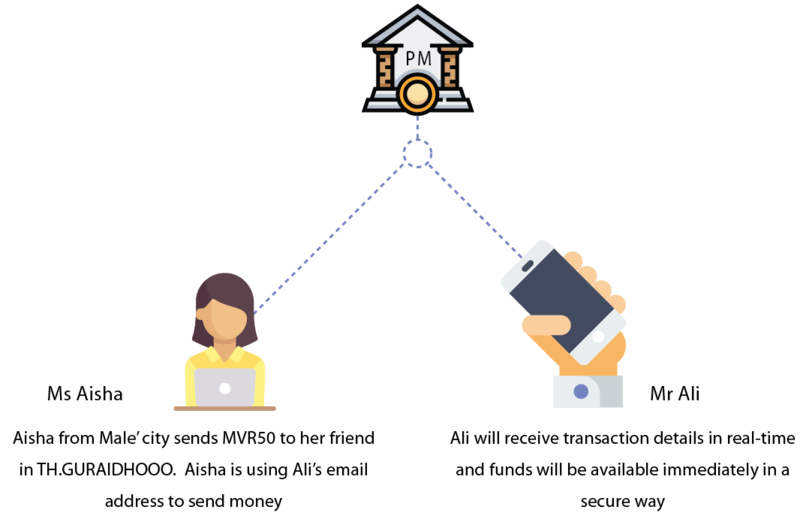 The solution will utilize the accounts structure within the system, meaning that all entities in the Maldives will have a fast and reliable option for making payments. Users accounts will be linked to their respective bank accounts, and funds can be transferred between the central system account and bank accounts in a number of ways. The bank account balance will be fully reflected in the account within the payments system. Users top up an amount of their choosing by debiting from their bank account and crediting to their account within the payments system. The system automatically tops up the account within the payments system whenever the balance falls below the threshold set by the user. Users will be able to transfer money from their central account within the payments system to their respective bank accounts. Users top up their central account within the payments system by using an international card scheme. 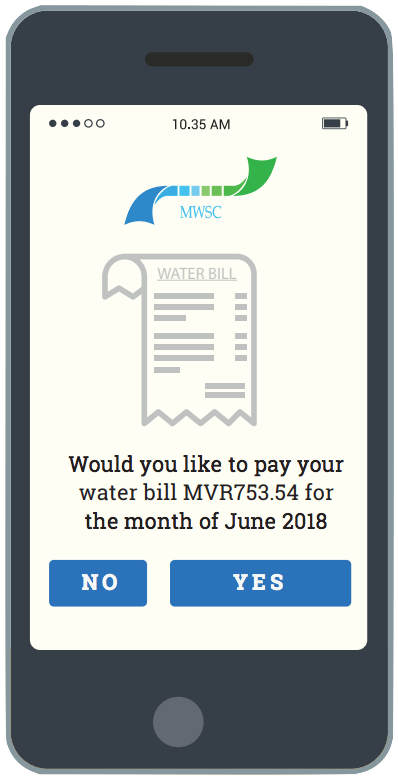 Users will be able to send and receive money from the central account of any other entity in the Maldives. Wholesale payments are generally large value payments made by corporate entities. A solution intended to be an electronic alternative for cheques will be available where the payment initiator and approver can be different individuals from the payee’s side. Local internet payments gateway will be introduced, which will provide users the option to use the local scheme to make online payments. These terminals will be available in all inhabited islands at convenient locations, mainly to facilitate Know-Your-Customer procedures via fingerprint verification. Apart from this, all payment services that can be availed from the digital solution will be available through the self-service terminals. Tourists will receive an identifier, such as a smart card upon arrival in the Maldives. The card can be topped up using international card schemes, which can then be used to make domestic payments. The solution will enable all digital and integrated solutions and eliminate multiple card transaction charges and foreign exchange conversion charges.